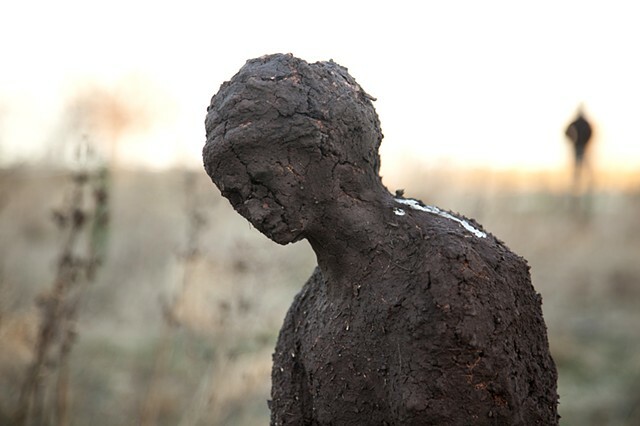 Sculpture—>Garden is a biodegradable sculpture project. The original twelve sculptures were commissioned by the Chicago Park District. 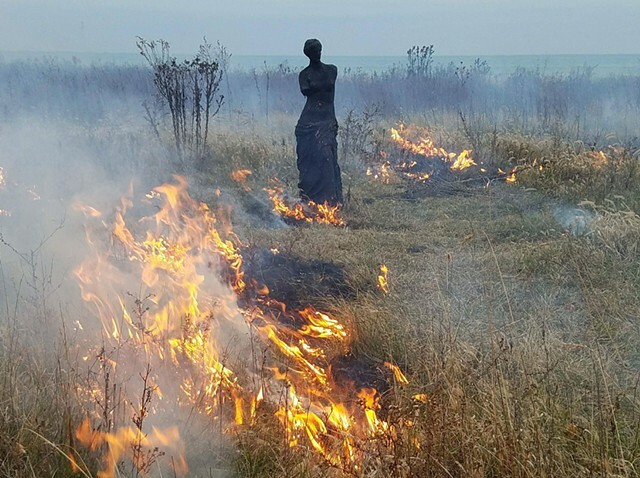 These experimental sculptures/gardens appeared in natural areas along the Chicago lakeshore beginning on the winter solstice, 2016. 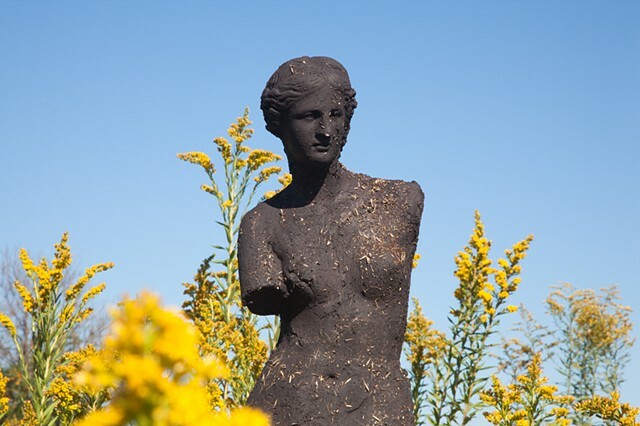 On each following equinox and solstice in 2017, newly cast sculptures were placed, to crumble and deteriorate, eventually transforming from their human forms into seasonal, self-sustaining gardens of native plants. 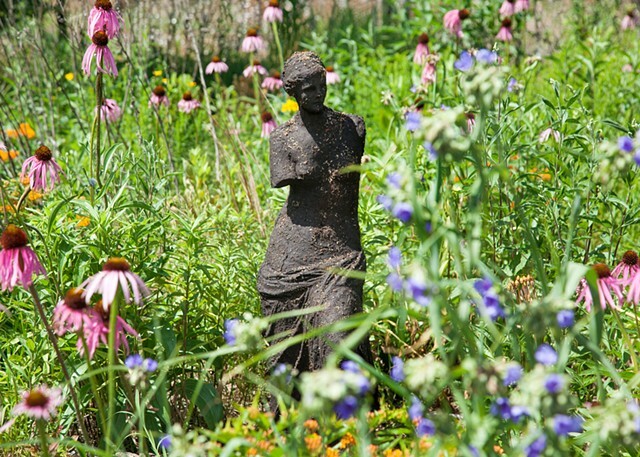 The starting point for Sculpture—>Garden is classical Greco-Roman sculpture, filtered through vernacular Americana garden statuary (the expected "outdoors" garden sculpture). 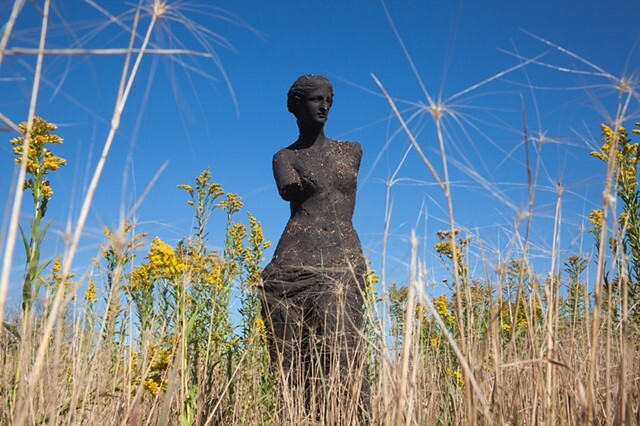 But, instead of traditional materials like marble or bronze, the sculptures are cast entirely from soil and biodegradable binders, suffused with native prairie plant seeds. 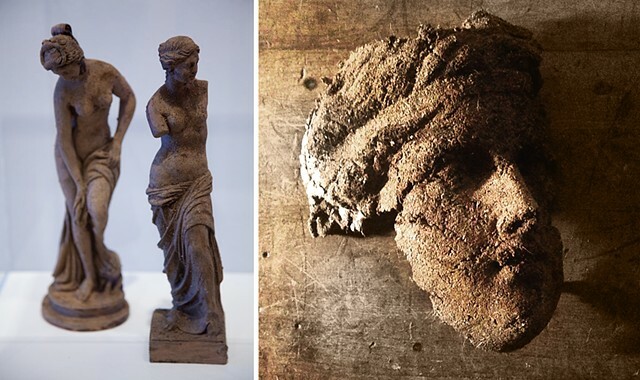 These 'ideal' human images from Classical sculpture, which form the root of many artistic practices in the West — are epitomized in the Venus de Milo, a representation of the goddess of love. Hellenic sculptures used human form as a symbol for heavenly perfection, the body as immortal beauty, removed from the earth, above all beings. 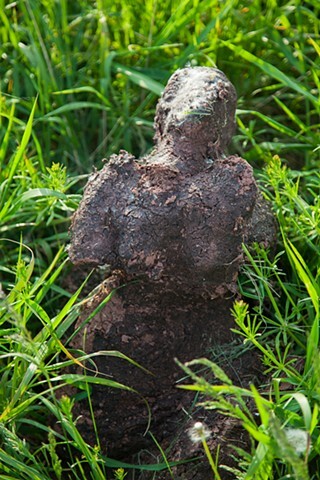 But in Sculpture—>Garden, this idealized form moves quickly towards multiple ruptures. 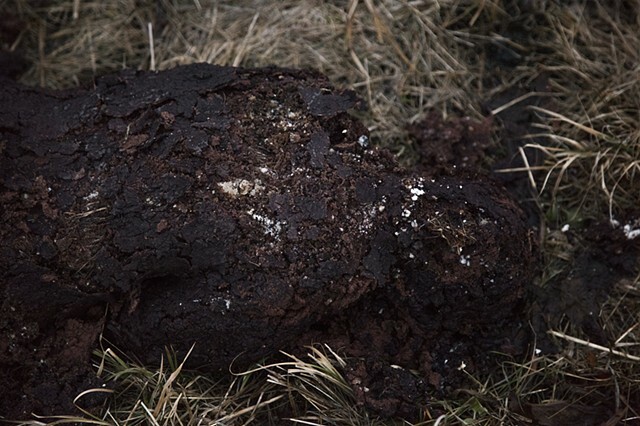 Firstly, Venus herself has become more of a 'real' body through time, weathering and losing her limbs, even before the process of biodegradation begins. 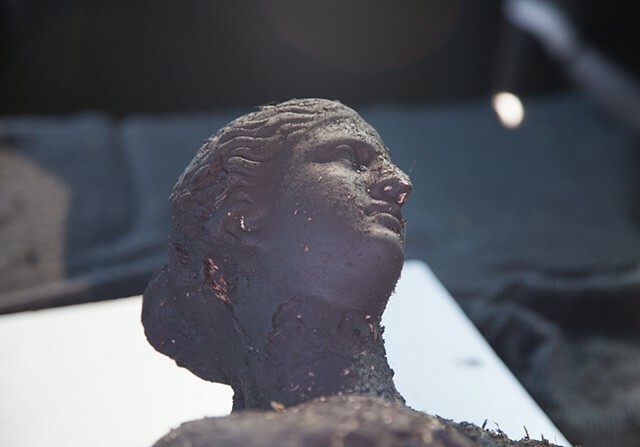 Secondly, the works are cast not from the original Greek marble, but from a home-garden facsimile from a local, family-run statuary company — an accessible version of the great Classical work — reinterpreted again and again by anonymous artisans. Thirdly, in these works, the 'perfection' of white marble is countered with the beautiful perfect/imperfectness of earth, seeds and wild growing plants, suggesting that we (artists, humans) perhaps cannot hope to rival the wild, perfect/imperfect beauty of the natural world. Sculpture—>Garden helps us envision a counterpoint to the aesthetic-historical justification for Human Exceptionalism — reminding us that we belong to the natural world — and not the other way around. 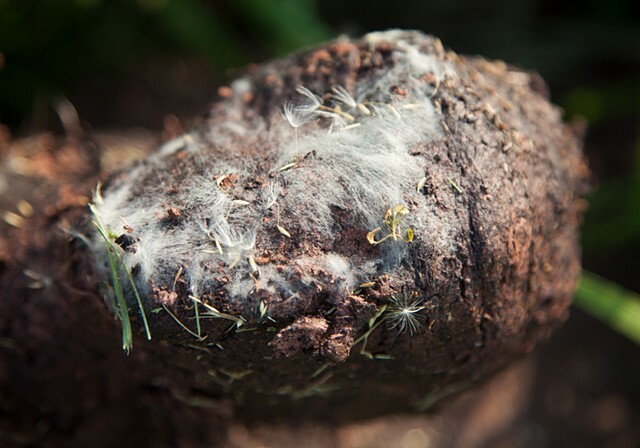 Even the human body itself is a part of the cycles of nature — eventually going back to the earth to nurture future growth. 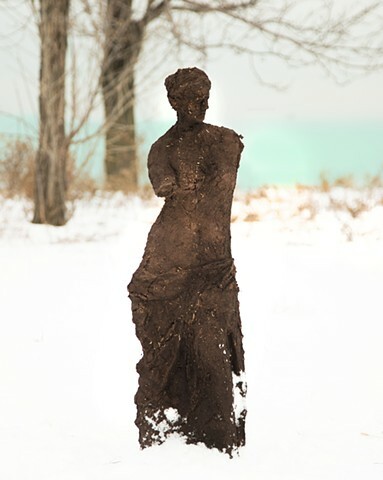 Venus I, II & I were installed in the Burnham Wildlife Corridor south of 31st Street Beach on the winter solstice in Dec 2017. Venus IV, V & VI were installed in Steelworkers Park on the vernal equinox in March 2017. 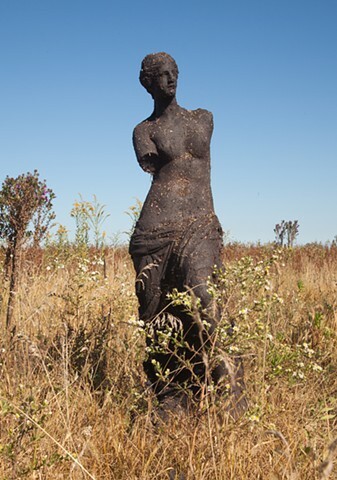 Venus VII, VIII & IX were installed in the Burnham Wildlife Corridor north of 47th street on the summer solstice in June 2017. Venus X, XI & XII were also installed in the Burnham Wildlife Corridor south of 31st Street Beach on the autumnal equinox in September 2017. The artist would like to thank Mike Dimitroff, Manager of Art Initiatives at Chicago Park District, for his enthusiastic and open-minded support of this experimental project.